I hope everyone is enjoying the holidays. We are going to try a new vegan brunch in town tomorrow! I'll be sure to post about it and let you know how it goes. After being sick, I wanted to add vegetables back into my diet slowly, so as not to upset my stomach. That's how I got this soup....I decided to puree some potatoes with carrots to make it easier to digest, so here it is! Steam the potatoes and carrots until very soft. In a soup pot, saute the onions, celery, and ginger in a little bit of water until soft. 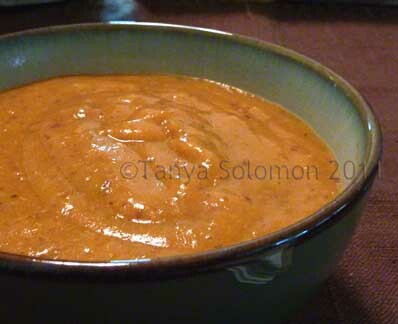 Put the broth into your Vitamix (or other high-speed blender) and add the potatoes, carrots, and onion mixture. Puree until smooth. Add the soup back into your pot and add 1/2 cup broth as well as salt and pepper to taste. Stir and serve warm. 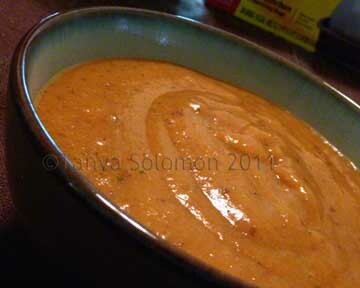 You could try mixing in some vegan cheddar cheese at the end, if you'd like! What are your plans for New Year's Eve?? What's your favorite winter soup?